Forbes had an article on credit card debt variations among US cities. The claim is that credit card debt is low in some high cost or high unemployment cities. 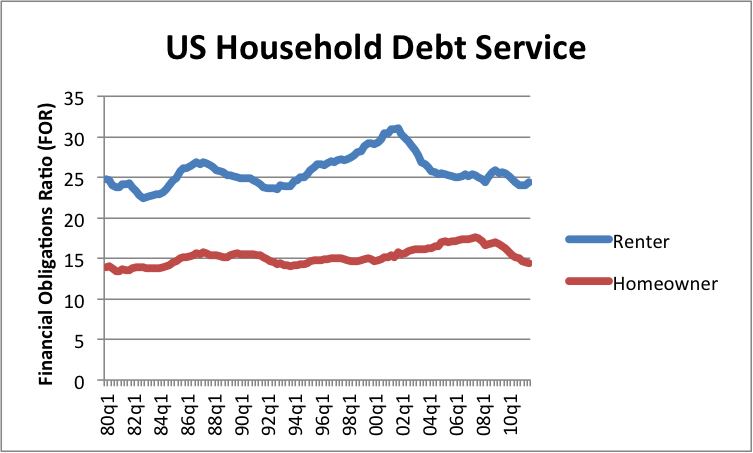 At least in terms of high cost, one has to wonder whether that has to do with mortgage debt crowding out other debt. 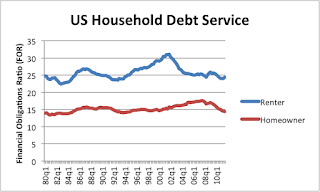 In any case, the total debt service ratios for even some of the highest cost areas have dropped considerably through the financial crisis. Now we are looking to the world governments as they go through this deleveraging cycle, a much, much more difficult proposition as it seems.